Training is important in Spirit Play to insure that your program begins and continues using the most of its resources and volunteers. Volunteers value their training as a sign that the church supports them in teaching. With your training, each participant receives access to a download with over 1300 stories, lessons, and materials to use in your program. These materials are not available for sale. 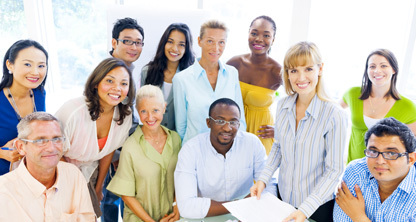 We recommend that you have at least two people from your church complete a training along with the DRE so that they can support each other in training others. 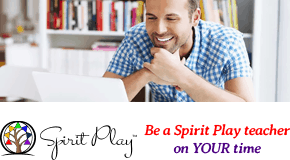 If you have an ongoing Spirit Play program, we recommend that you have additional people trained every two or three years to cover the turnover in teachers and to guarantee the quality of your Spirit Play program. Many programs have experienced difficulties with Spirit Play when their original teachers who are trained to leave, and only people who were trained secondarily remain. It’s good to get a refresher training to keep the program alive with possibilities.